You may already be familiar with The Merchant Fox company but allow me to introduce them anyway as this is their first time featuring here. The Merchant Fox is part of Fox Brothers, a Somerset cloth mill founded in 1722, celebrating British tradition and heritage. Now, The Merchant Fox are on online retailer of prestige men’s and women’s garments (although slightly more male-centric), luggage, leathers and accessories made in the UK, sourcing the finest materials and artisans. The Merchant Fox Flannel Candle comes housed in a fine china votive with burnished gold rim and The Merchant Fox emblem. The candle is made in the UK and has an approximate burn time of 50 hours. It’s a hefty bugger and feels gorgeous in the hand; it’s something I keep picking up every time I pass the mantlepiece. The candle is made with 100% natural waxes and as it burns, you’ll see a bee illustration slowly reveal on the inside of the china votive. The scent is reminiscent of the newly woven bolts of cloth that come off the looms at the Fox Brothers mill. With citrus, and rosemary blended with a mouth watering bergamot, intertwined with jasmine; all founded on a forestial and earthy oakmoss. The blend is uplifting with an almost creamy whitewash. I often bang on about candle care and always hope that it doesn’t fall on deaf ears. Here are three easy tips to make sure you don’t waste a candle and get the biggest bang for your buck. Keeping the wick short does two things. Firstly it slows down the burning as a larger flame will obviously burn up more wax. Secondly, it stops smoking and flickering which, if you’ve ever had a particularly cheap candle that smokes anyway, can leave nasty trails on your walls and furniture. This is the best tip of all. Only ever burn a candle until it hits the edges of the votive and the whole top layer is melted. Sometimes a candle just won’t do this for one reason or another, but if it does, it ensures that the candle burns down slowly and evenly; using all the wax and avoids tunnelling and wastage. Not only are bell jars just the most gorgeous thing to have around your home (unless you’re a klutz like me and knock them about all over the place) but they help prevent fragrance degradation and oxidation. This means you get the highest possible fragrance load every time you burn your beautiful votive. All my bell jars are from M&S like this one, as they’re great value and well made. You can also buy something like a culinary cloche; there’s no real difference, only in size. If you seriously enjoy your luxury candles; they’re an undoubted investment. Where can I buy The Merchant Fox Flannel Candle? 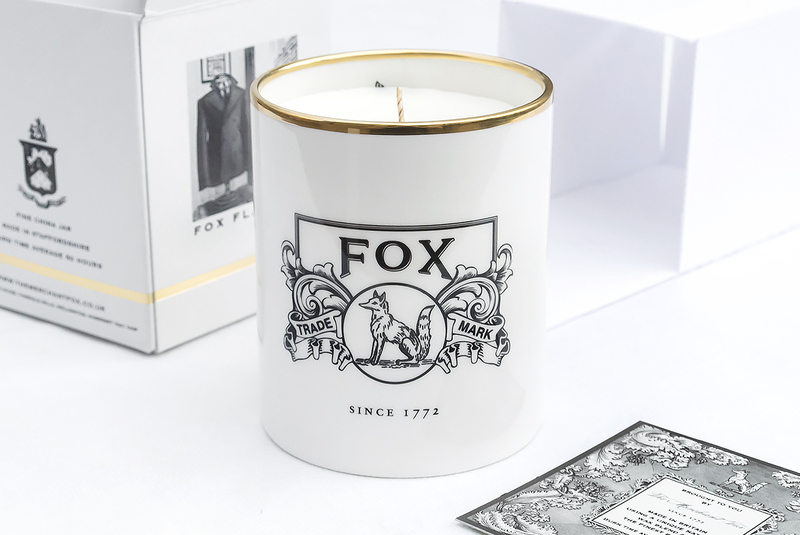 At the moment The Merchant Fox Flannel Candle is only available from The Merchant Fox directly. You can find it here at £60 + £6.25 delivery. This article first appeared on MANFACE written by Thom Watson. It was published on Tuesday 28th October 2014 and was last updated on Monday 3rd April 2017 at 1:48pm. It's categorised under Fragrance, Home, Home Fragrance, The Merchant Fox where you'll find more related content.